Over the last few years the LET Medical’s SCENAR COSMODIC Hybrid EX735Ag Modific Slider x2 has firmly established itself as The Best SCENAR Yet. And yet, can The Best be even better? Actually, it can, if the Slider’s capabilities are expanded through the use of various remote attachments (remote electrodes). LET Medical put a lot of efforts in designing remote attachments that would transmit the sophisticated COSMODIC signal with minimum distortion. Several of them have been released to the market in the last few years, the latest being the EMC01Ag (“dental”) and the ENT attachments, and there are more in the works. ATTENTION! From now till March 21, 2016, if you purchase a new EX735Ag Slider x2, you will also get a FREE remote silver attachment of your choice: either the ENT01Ag (“ear-nose-throat”) or the two-button Tablet 02Ag or the “silver skies” small area attachment EC01Ag. All these little helpers allow delivering the Slider x2 signal to the areas otherwise difficult to reach or to work on, and sometimes their applications are wider than it was originally intended. For example, it was found that the silver ENT01Ag works very well not only on the problems of the ear, nose, and throat, but also on arthritic joints, on prostate or rectal problems, and on acupuncture channels and meridians (in the next little while we will tell you more about possible applications of these silver attachments). The offered electrodes are made from silver according to a new technology with the method of pressing (compression capacity up to 50 tons). That maintains the natural structure of silver and even enhances it through the gravitational density increase, which, in turn, makes therapy more effective providing additional healing effect and more accurate transmission of COSMODIC signal. Silver is known for its bactericidal, antiseptic, anti-inflammatory, and styptic effects. It is a natural bactericidal metal effective against 650 kinds of bacteria. And the best part is, bacteria do not acquire resistance to silver, as they do to most antibiotics. The Tablet 02Ag also has an additional benefit of magnet therapy. Each of the two silver buttons has a built-in point-contact rare-earth permanent magnet in order to focus the action along magnetic lines. At the same time the magnet fastens the electrode to the casing and allows you to take it off and put it back quickly and easily. – EC01Ag “silver skies” small area attachment. P.S. 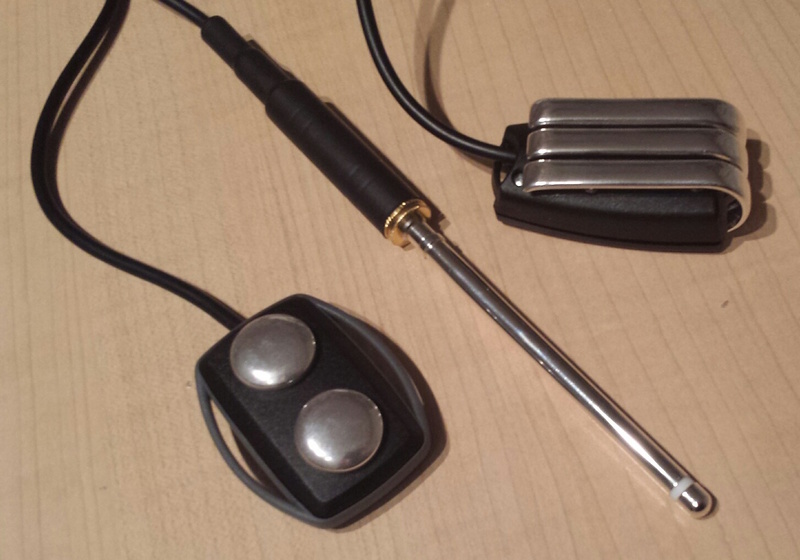 If you are buying your second Slider, you will get any TWO free remote electrodes of the three listed above. Call our office for details of the campaign at 1-855-468-0033 or email to support@healthboss.org.